This entry was posted in Book Reviews, Intermarium, News, Russia, Uncategorized on November 30, 2015 by liberska. On Saturday, November 14th, The Eight Annual Kosciuszko Chair Conference took place. Topics discussed a number of questions related to the past and the contemporary reality of the Intermarium as well as its closer and more distant neighbors. Jews and the Polish Underground: A Book to End History? This entry was posted in Events, Intermarium, Past Events, Poland, Polish History, Russia, Uncategorized on November 30, 2015 by liberska. On Saturday, April 25, the Kościuszko Chair of Polish Studies – currently held by Dr. Marek Jan Chodakiewicz – hosted its Fifth Annual Spring Symposium: “Between Russia and NATO: Security Challenges in Central and Eastern Europe.” This year’s event was held at the Ritz Carlton in Pentagon City, just across the river from Washington, D.C. The conference was made possible through the generosity of Mr. Jan M. Małek and the Polish-American Foundation for Economic Education and Development (Polsko-Amerykańska Fundacja Edukacji i Rozwoju Ekonomicznego, PAFERE). The symposium consisted of six panels and was moderated by Dr. Sebastian Gorka of IWP, who also delivered two presentations and the closing remarks. The panel on “Foreign and Defense Policies of Central and Eastern Europe” consisted of lectures by Dr. Marek Chodakiewicz and Mr. Žygimantas Pavilionis, the Ambassador of the Republic of Lithuania. Dr. Chodakiewicz emphasized that the Intermarium has suffered from a lack of unity and called for solidarity between the nations of Central and Eastern Europe. Ambassador Pavilionis spoke about what he sees as insufficient US engagement in the region, including the woefully inadequate nature of US public diplomacy and broadcasting in the region. Dr. Ariel Cohen and Dr. Łucja Świątkowska-Cannon addressed the “Strategic Implications of Economic and Energy Conditions in Central/Eastern Europe,” both pointing out that such impediments as onerous regulations and heavy taxation (“gas tax Sepuku,” in the words of Dr. Cohen) constitute serious obstacles delaying the ability of such countries as Poland and Ukraine to exploit fully their large shale gas deposits, thereby gaining energy independence. During the “NATO and Central and Eastern Europe” Dr. Phillip Karber (Potomac Foundation) emphasized the highly intensive nature of Moscow’s proxy war in the Donbas and offered practical policy advice on how to most effectively help the Ukrainians defend themselves. Shifting towards first things, Prof. Joseph Wood’s presentation anchored our understanding of America’s role in NATO in natural law and transcendental moral values. The final panel, “U.S. Foreign Policy Options,” featured the speeches of Dr. John Lenczowski and Dr. Sebastian Gorka. This entry was posted in Intermarium, Lectures, Past Events, Poland, Russia and tagged economics, energy, NATO, public diplomacy, US foreign policy on May 6, 2015 by IWP. On February 15, Dr. Marek Chodakiewicz was interviewed by a DC-based reporter for the English-language Russian website Sputnik News on the current Russo-Ukrainian crisis. In the end, it never made the cut, and Sputnik News decided not to publish the interview. No doubt, the Kremlin sees things much differently than Dr. Chodakiewicz, but, for the sake of media freedom, we are publishing the interview below. Sputnik News: I was hoping to get your comments regarding a Minsk declaration, which was agreed upon during the so-called Normandy format meeting on Ukrainian reconciliation on Thursday. The document stipulates ceasefire at 12:00 a.m. local time on February 15 (February 14, 22:00 GMT), and withdrawal of heavy weaponry from the existing contact line for the Ukrainian army, and from the line agreed on last September for the militia. How likely is it that the parties will follow through with this agreement? One of the conditions for Kiev to regain control over the border with Russia is the implementation of constitutional reforms in Ukraine, according to the Minsk declaration. Will Kiev really implement constitutional reforms and give more rights to the regions? MJC: I will first answer both questions above. Everything mostly depends on the Kremlin. If Moscow orders the separatists to stand down, most of them will. A few may bristle, but they’ll also follow suit. Kyiv barely holds its own. It should wish for a freeze in fighting, if for tactical reasons only. Whereas for Russia the choice is simple, for Ukraine any move is fraught with multilayered problems. Of course, the government in Kyiv cannot countenance giving up any Ukrainian territory, including Crimea. It would then stop being a Ukrainian government. However, there are pragmatists in the government who may want to consider the federal option as a face saving device. Nominally, a federated Ukraine would remain a single state. Practically, however, rebel-occupied areas would exercise autonomy and affiliate very closely with Russia. So Ukraine would become a de facto confederation of regions. Instead of a single unrecognized state of Transnistria, we would have a bevy of them, stretching along the current eastern border and the northern shore of the Black Sea. And Russia would expand unimpeded at a glacial pace, except in times of periodic crisis when history would accelerate for the Kremlin. This scenario has already been tried in history. It was the case with the Cossack Rebellion of 1648. First, the Cossacks, especially their leaders, who were Polish nobles usually of Ruthenian roots and mostly Orthodox faith, considered themselves faithful servants or the King of Poland and the Grand Duke of Lithuania, objecting “only” to the Parliament (Sejm) and the local magnates (most of them Ruthenians by ethnicity, and freshly converted to Roman Catholicism). Then, the Cossacks asserted a de facto autonomy. They entered into direct relations with the Ottoman Porte and the Crimean Khan, and later with the Muscovites. They lacked the wherewithal to master this dynamic relationship; their attempts to reconcile with the Polish-Lithuanian-Ruthenian Commonwealth came to naught. And they were ultimately gobbled up by Moscow. And, in the long run, that is the most likely scenario for Ukraine, whether it adheres to the Minsk accords or not. The Minsk document adopted by the leaders of Ukraine, Germany, Russia, and France on Thursday calls for an «all-for-all» prisoner swap within five days after troops are pulled back in the eastern regions of Ukraine. In your opinion, can this be carried through? MJC: If there is political will in the Kremlin, it can be done. Thank God there is not enough bitterness yet among the fighters to prevent an “all for all” prisoner swap. However, even with good will in Moscow and Kyiv, there may be snags in the timetable. Five days is an awfully short time. Yet, it may be exactly what the doctors ordered: a leap of faith. The government forces withdraw without paying attention to what the other side is doing, and vice versa. It will have to be a huge leap of faith. How would you evaluate the possibility of direct talks between Kiev and Eastern Ukraine? MJC: They are slim, except on technical issues. Please remember that, although in a way brothers are fighting against brothers here, it is not a classical civil war because the center of the rebel command is in a foreign country: Russia. And we are not talking about a rebel eastern Ukrainian government in exile, we are talking about the master of the Kremlin: Vladimir Putin. He directs the battle. He is the commander-in-chief of the rebel forces. What is the future of Russia-Ukraine military contacts? MJC: I wish I could say peaceful. At both the tactical and strategic levels, the Russians play a crucial part in the unfolding drama. When they stop, peace shall prevail. Should the administration reconsider arming Ukraine? MJC: Sure. It is not often that a people want to defend themselves from an aggression from a foreign country. Usually, everyone expects the US to pull one’s chestnuts out of the fire. Will US training program for the Ukrainian National Guard be effective, is it enough to change situation on the ground? MJC: Tactical training will be effective. It will definitely boost the morale of the Ukrainian troops. It won’t change the situation on the ground, but, instead, it is a show of solidarity on the part of the White House. Thus it is a diplomatic tool to indicate to Russia that we are serious about helping Ukraine. I am afraid, however, that if it is not followed up with arms, it will be too little and too late. This entry was posted in News, Russia, Ukraine on February 20, 2015 by IWP. The following article by Prof. Marek Chodakiewicz was published by the Selous Foundation for Public Policy Research. The Hungarian politician hopes that because Germany holds neither revisionist territorial designs nor any general historical animus against his nation, Hungary can serve as a useful and reliable geopolitical pawn for both Berlin and Moscow. This is what happens when the United States is absent; its leadership is missing; and the White House “leads from behind.” This is also the best prism to scrutinize Orban’s foreign policy moves through. He cannot ingratiate himself to Berlin through his conservatism, but he can through Russophilia. Whereas the Hungarian Prime Minister Viktor Orban’s domestic politics elicit angry denunciations primarily from leftist and liberal quarters at home and abroad, his foreign policy both baffles and infuriates Western observers across the political spectrum. But the key to understanding Budapest’s international maneuvers is rather simple. Orban claims that his policy of national solidarity — restoring tradition, dignity, prosperity, and faith, as well as de-Communization, vetting of agents, and the defeat of post-Communism and liberalism — challenges the dominant international system which is hostile to small nation states. The inimical context consists of globalism, European federalism, German economic might, and post-Soviet imperialism. The prime minister would like Hungary to survive and prosper. Because Budapest pursues policies that challenge the reigning paradigm, the Magyar government is ostracized, sidelined, and criticized bitterly both by the European Union and the United States. Leftists and liberals who dominate the West culturally, politically, and economically cannot bear anyone who fails to fall in line. As far as the EU, Germany is not only its most powerful member but, arguably, also most corroded by leftism and liberalism. Therefore, Orban believes he should pursue his foreign policy in alliance with a power which rejects the liberal paradigm most emphatically. Hence, he has chosen Russia. This entry was posted in Russia and tagged Germany, Hungary, US foreign policy, Viktor Orban on January 30, 2015 by IWP. 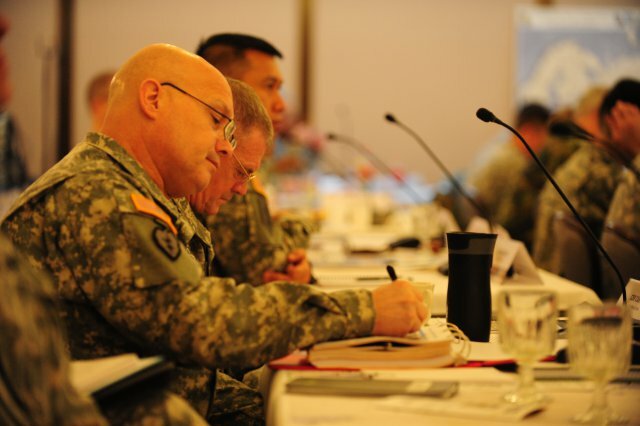 IWP’s Professor Marek Jan Chodakiewicz was invited to speak at the US Army Europe Senior Leaders Forum which took place from January 12-14, 2015 in Wiesbaden, Germany on the topic of “Strong Europe.” There were several panels held, in which panelists delivered general remarks and answered analytic questions. Prof. Chodakiewicz was one of the only non-government experts to participate. On January 13, he gave remarks at a panel entitled “Russian Military Modernization, Influence Operations, and Russian Operational Art from Georgia, ZAPAD-13, to Ukraine and Donbas.” Other panelists included high level intelligence officers, a senior civilian defense specialist, and a diplomat. The leadership conference included NATO allies: Germans, Spanish, Belgians, British, and others. The bulk of the audience consisted of brigade and some regiment commanders, generals, State Department officials, and DoD representatives. The audience also included senior officers and NCOs, including from the units slated to be deployed to Ukraine. A version of Dr. Chodakiewicz’s comments appear below. In the past few years, the Kremlin has brought forth a dazzling array of its tools of statecraft, combining political warfare, public diplomacy, active measures, disinformation, propaganda, covert actions, and military power, including conventional and guerrilla operations. In a word, President Vladimir Putin predictably has pursued power to restore the empire. Moscow has deployed methods on which it has relied from times immemorial. We deal here with continuity rather than discontinuity. Thus, the Kremlin’s moves could be anticipated. This is plain, despite the shocking surprise of some of the Western observers who failed to predict Russia’s expansion and, consequently, their flawed attempts to understand the phenomena at play. For example, some of them discovered the alleged novelty of “hybrid warfare.” Yet, what we have seen from Georgia to Ukraine is a traditional, irregular fighting method which has adopted itself to new circumstances by incorporating new technologies. As I argued in my Intermarium, history undergirds Putin’s moves, his imperial aim remains immutable; and his tools of statecraft are fixed. Within this context, let us look at Moscow’s soft power, strategic messaging, propaganda narrative, military build-up, and new technologies, including cyber and social media capabilities. We shall also briefly consider the relationship between Russia’s economic resources and will to power, as well as the capacity of Western sanctions to diminish both. The context allowing us to understand Russia requires remembering the factors which have continued to inform Russian conduct for several hundreds of years. First, the Russian Federation is a despotic and patrimonial polity with its Byzantine caesaro-papism (no division between church and state and, hence, no sphere of freedom) descending from the Mongol-controlled Duchy of Moscow and its successors: the Russian Empire and the Soviet Union. Second, another thread of continuity stems from the fact that the Russian Federation is a product of the transformation of Communism into post-Communism, and not liberal democracy. The transformation ensured that the institutions and the personnel of the totalitarian state have survived to haunt their subjects and the rest of the world into the 21st century. This is the deeper meaning of Putin’s famous dictum, “once a Chekist, always a Chekist.” Third, continuity in the Russian Federation pertains further to the modus operandi of the regime. Marxist-Leninist dialectics allow the Kremlin to be very flexible and pragmatic, amoral, and relativistic. No longer a millenarian ideology, which masked as “science,” promising paradise on earth by following a self-anointed vanguard of the proletariat, Marxism-Leninism serves the post-Communist successors of the vanguard as a handy tool to maintain themselves in power by deftly exercising control over the captive Russian population. What is the aim of the Russian post-Communist regime? It wants to maintain Putin and his team in power. It endeavors to restore the empire in three areas. Its first target is the so-called “near abroad” (the newly liberated nations of the old USSR); next on the list are the former Warsaw Pact countries; and, finally, there follows whatever else the logic of imperial expansion dictates. In a way, the sky is always the theoretical limit, but the resources, will, and means inevitably tend to serve as a check on the imperial appetites. Restoring the empire means anything between incorporation and satellitezation. This is accomplished through a variety of means — including cultural and economic influence, for example, the much feared energy weapon vis-à-vis the European Union — deployed shrewdly to undermine and even disintegrate the Western Alliance, NATO in particular. Energy revenues and shady business deals. The latter usually involve raw materials and minerals. They function in a world of murky financial transactions involving a multitude of related companies acquired in the past twenty-odd years by post-Soviet nationals, mostly the oligarchs, with often rumored criminal underworld ties, whose actions are increasingly coordinated with the Russian state. What are Russia’s main sources of soft power? True, both Western and Russian leaders recognize soft power as a tool of statecraft, but that’s where similarities end. For Western leaders, the Americans in particular, “soft power” is a zinger, a sound bite, a gimmick to distinguish oneself from the allegedly troglodyte past of the previous administration. Soft power should serve to make things nice, to show that the Americans are also from Venus. At best, in the West, soft power is a stand-alone phenomenon uncoordinated with other endeavors of exercising political will. The Kremlin regards soft power as just one tool in a vast arsenal of statecraft. In coordination with other tools of power, it is used to dominate, to intimidate, and to achieve strategic objectives. 3. How does Russia use social media or cyber operations to promote its strategic message? 4. What are the most salient features and themes of the Kremlin’s propaganda offensive? 5. How do Russia’s domestic strategic messages differ from its foreign messages? The target audiences are differentiated according to a sophisticated variety of criteria. Sometimes propaganda messages overlap; however, oftentimes the accents on various propaganda features are distributed differently based on whether they are intended for domestic consumption or for foreign use. Propaganda for domestic use can sound quite hysterical. In the “near abroad” it can be very virulent, in particular in Ukraine. For example, in Kharkiv the pro-Russian underground stuffed mailboxes of Ukrainian activists, including those employed by NGOs, with a Christmas message that read: “We’ll get every single one of you Nazi scum,” virtually an exact replica of letters addressed to Nazi collaborators during the Second World War by Communist guerrillas (see Radio Free Europe/Radio Liberty, 8 January 2015, http://www.rferl.org/content/ukraine-bombing-campaign-odesa-kharkiv-mariupol-kyiv/26783218.html). The regime often practices the art of allusion that is quite readable at home, and quite obscure abroad, in the West in particular. The Kremlin narrates its aggression in Ukraine, the Baltics, and Caucasus as if Russia were fighting the Second World War all over again. It includes attacking its opponents in the “near abroad” as “the fascists,” while assistance to the rebels and Russian minorities is dubbed “fraternal assistance,” which — at the same time — the government denies to be rendering. The assault on the near abroad (nearly identical for both foreign and domestic reception) is pregnant with the symbolism of the Second World War, which is projected in a much more emotional manner for the domestic consumer. Moscow claims (both for domestic and foreign audiences) to be defending Jews in Ukraine from fascists and anti-Semites. However, simultaneously, it blames the “oligarchs” — a by-word for “the Jews” — as having taken over in Ukraine, a cryptic message that is easily read by Russia’s domestic audience. The Russian Federation pursues a pro-active policy of support for the Russian minority (or, rather, more accurately, post-Soviet Russian speakers) residing outside of the state’s boundaries, primarily in the near abroad (but also elsewhere in the diaspora, e.g. Cyprus). The concern for these “Russians” is expressed in nationalistic, cultural, and religious terms. They are “fellow Russians,” “our [(post) Soviet] people,” and Christian Orthodox. The existence of large Russian-speaking former post-colonial remnants is the main tool of Moscow’s influence in the “near abroad.” The Kremlin meddles in the affairs of foreign countries by invoking “human rights” in defense of the allegedly “oppressed” Russian minority, and additionally boosts its strength by providing economic and diplomatic assistance, which translate mainly into cultural continuity with the Soviet times and continuous alienation from mainstream cultures through resistance to assimilation. The Russian minority is the main tool of Russian imperialism. This is not only evident in Ukraine, but in the Baltics in particular. Putin singles out the Poles as the greatest threat and the main troublemakers (e.g, the Poles, at the behest of the US, allegedly trained the Kyiv Maidan fighters, and “Polish mercenaries” allegedly battle the rebels in the Donbas). Historically, the Poles were the main rivals of the Muscovites in the struggle to dominate of the Intermarium, the land between the Black and Baltic seas, and the Polish-Bolshevik War of 1919 – 1921 was the only time in history that the Red Army was defeated in the field. Hence, at the symbolic level, the Russian President replaced the 1917 Bolshevik Revolution commemoration with a holiday celebrating the termination of the occupation of Moscow by the Commonwealth of Poland-Lithuania-Ruthenia in 1612. All this is absolutely obvious at home in Russia, and uniformly ignored in the West. The Kremlin hastens not to explicate this complicated issue beyond the post-Soviet zone. The chief successor state to the USSR loudly proclaims its unity of purpose with Orthodox (Russian) Christian faith. It vows to uphold it as Russia’s true faith, while accommodating as junior confessions Judaism and Islam. Protestant Christianity is treated as a sect, and Catholicism regarded as “a Polish religion,” and dangerous theological and political competition. War in Ukraine is about defeating fascism; the pro-Russian rebels are anti-fascists; the Ukrainians are fascists. Russia is not supporting the rebels in eastern Ukraine; the foreign fighters there are uniformly volunteers. 6. Do Russians believe their government’s strategic message? Are they genuinely aggrieved and threatened by the West? Yes, most of them do. They perceive the West as having destroyed their beloved USSR and as invading “their” space via NATO expansion, free trade, and cultural imperialism (McDonald’s, rock music, drugs, AIDS, and subversive ideologies, including feminism, gay liberation, and sexual revolution). Despite their own atheism or agnosticism, which they have dubbed as “cultural Christian Orthodoxy,” they condemn the West as “godless” and irreverent on the account of the dominant counter-cultural paradigm of the 1960s in the mainstream of the United States and its allies. 7. What are the economic limits on Russia’s ability to influence its near abroad? What about Europe? Short of a collapse on a scale experienced in the late 1980s and early 1990s, there are practically no limits. There is only the will of Putin and his team. The old adage that the Russians will “eat grass,” if that is what it takes to defeat the West, still applies. 8. What is the goal of Russia’s military modernization and how might it be set back by recent economic sanctions? The goal is restoring the empire. It is to put the Russian military back on par with America’s. As far as the threat to Russia’s modernization through Western sanctions, it depends how serious the United States, the European Union, and Japan are about economic warfare. It seems that they are not too serious since they appear to want to chastise gently the post-Soviets, rather than cripple and even less destroy them. Serious economic sanctions would mean a serious setback to Russia’s military modernization campaign, but only in a long run. In the short run, Moscow has either invented or, more often, stolen enough technologies and generated enough revenue to accomplish at least some of its plans to catch up with the US. Serious sanctions — denial of credit, markets, and new technologies – would ensure that the accomplishments would not be sustainable in the long run. 9. What are Russia’s biggest achievements to date in military modernization? The greatest accomplishments are maintaining world-class nuclear forces (as the Kremlin like to brag, the Russian Federation is the only nation that can destroy the United States for it inherited the USSR’s nuclear capabilities) and fielding fearsome special forces, as well as resurrecting the navy, its submarine component in particular. Beyond that Russia’s military is inferior and often corrupt, suffering poor morale among regular troops (which is plagued by high suicide rates and endemic hazing of the recruits). The so-called revolution in military affairs has impacted only the elite branches of the military, while neglecting most others. 10. What is the Russian military strategy for the next 3 to 5 years? In general, it is to regain whatever it lost following the implosion of the USSR. In particular, the military is set to slowly cannibalize the “near abroad” through active measures and special operations waiting for an opportunity to strike and expand. It aims to prevent any of the “near abroad” from either joining the West or succumbing to the Caliphatists (Islamists). 11. How is Russia most likely to implement Hybrid Warfare and what is most challenging for a conventional force in countering this form of war? 12. What has Russia not yet achieved in terms of military modernization? It has not achieved a comprehensive revolution in military affairs. It has not empowered its NCO corps because that would undermine the pathological culture of denying and withholding initiative and responsibility at the tactical level. Finally, it has not yet stolen the newest technology to integrate fully all its military branches. 13. How do Russia’s use of information operations and strategic messaging benefit military operations? Generally, information operations and strategic messaging directed at the West ensure that the responses by the United States and its allies are confused, feeble, and delayed, if any. At the tactical level, information operations and strategic messaging paved the way for a virtually bloodless victory in Crimea. This was a brilliant deception operation which confused and disarmed the defenders. The invaders claimed to have descended upon Crimea to defend the locals against the “fascists” in Kyiv. They avoided the use of violence, whenever possible, instead disarming the Ukrainian forces psychologically by invoking Slavic and post-Soviet “brotherhood,” intimidating through swaggering with an overwhelming force, and bribing many to defect. 14. How could Russia’s strategic messages be most effectively challenged? This is a piecemeal question. I shall try to answer comprehensively addressing issues beyond strategic messaging to suggest, first, remedies to the current crisis, and, then, strategies to handle the Kremlin consistently. Move NATO nations and their allies beyond debating whether to counter to how to counter Russia’s “weaponization of information,” i.e. its infowars, by drawing from vast Cold War experience, in particular from the 1980s, instead of reinventing the wheel (e.g., Euobserver.com, 8 January 2015). Integrate strategic communications of NATO and its allies, while retaining local flavor of each of the participant crafted to particular challenges. Create a Russian language media platform (TV, radio, internet) to influence the Russian speaking public all over the world: Radio, TV, and Web Liberty (RTVWL). Open its offices in all nations of the post-Soviet zone, in the “near abroad” and Russia itself in particular. Create separate web-based platforms to counter each of Russia’s propaganda narratives (e.g., that there are no Russian troops in eastern Ukraine); make the endeavor interactive; post pictures and crowdsource; get the greatest public involvement possible at all levels. Jam Russian broadcasts in response to jamming Western media activities; respond to Moscow’s blocking of Western web-based platforms by taking down Russian internet infrastructure. Require reciprocity in media access. E.g., if Sputnik News opens an office in DC, then RTVWL must be permitted to set one up in Moscow. If Russia Today (RT) is allowed to broadcast in the United States, broadband and cable access is automatically granted to RTVWL in the Russian Federation. Launch a public diplomacy program for Russian children; make it a part of educational exchanges. If the Russians want to send neo-Line X “scientists,” they may do so at the pain of expulsion but, more importantly, only if Russian children can be exposed to the American way of life — of course in Middle America as opposed to Manhattan, Los Angles, or San Francisco. If the US really wants peace, it should give a nuclear deterrent to Poland or station a missile defense force there. If we are willing to learn from history, we shall see that Russia is quite predictable in its moves. Putin simply applies a traditional combination of military power, active measures, propaganda, political warfare, and diplomacy to achieve the reintegration of the empire. However, the West has an enormous technological and resource advantage. Unfortunately, it lacks unity, focus, and will. In particular, the United States has been incapable of providing leadership as far as resurgent Russia is concerned. The solution is simple: to reverse the course and realize America’s potential to make the world a safer place by countering the Kremlin’s aggression. Photo above by the US Army. This entry was posted in Lectures, News, Russia and tagged Marek Chodakiewicz, US Army Europe on January 28, 2015 by IWP. On Sunday, January 4, 2015, Paweł Styrna – Kościuszko Chair research assistant and IWP international affairs student – delivered a presentation at the annual conference of the Polish American Historical Association (PAHA) in New York City. The lecture was entitled “Paralyzing the Polonia From Within: Communist Secret Police Infiltration of the Polish-American Community” and constituted a brief outline of a much more detailed, research-based scholarly article, which will be published in a forthcoming anthology. Having explored the historical roots of communist secret police operational tactics, Mr. Styrna discussed the various manners utilized by Warsaw to divide, recruit, and co-opt the Polish-Americans and analyzed the extent of the penetration. He pointed out that the communist secret police treated the Polonia either as an enemy or as a potential asset and continued his exploration into the post-communist era. He concluded by pointing out that scholars should not underestimate the impact of secret police “disintegration” work on the American Polonia’s gradual loss of political influence during the beginning of the twenty-first century. This entry was posted in Lectures, Past Events, Poland, Polish History, Russia and tagged communism, communist secret police, Pawel Styrna, Polish American Historical Association on January 15, 2015 by IWP.